Speaker Paul Ryan is moving toward a House vote Thursday on legislation to “pause” the resettlement of Syrian refugees to the U.S., as the White House struggles to save the program from mounting political opposition in the aftermath of the Paris attacks. 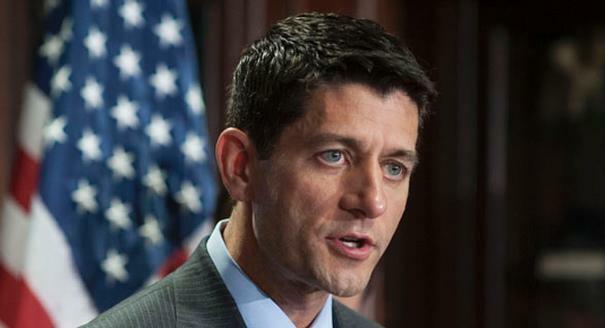 “We think the prudent and responsible thing is to take a pause in this particular aspect of this refugee program, in order to verify that terrorists are not trying to infiltrate the refugee population,” Ryan said. The new speaker faces pressure from Republicans in Congress — and on the presidential campaign trail — to stop the program that expects to resettle at least 10,000 Syrian refugees this fiscal year. Senate Majority Leader Mitch McConnell, who also wants “a pause or a moratorium,” said he and Ryan were working together on the issue. The House GOP’s package was still being formed, but it would cover refugees from both Syria and Iraq, and allow entry only if the FBI director and other officials certified the refugee was not a security threat and had passed a background investigation, according to an aide to Majority Leader Kevin McCarthy. “We are talking about a program that is in the best American tradition and reflects our values,” said a senior administration official, granted anonymity to discuss the program on a conference call with reporters. “The thing I fear most about this current discussion… is we will lose bipartisan support,” the official said. The drumbeat against the Syrian refugee program has intensified in recent days as almost half the nation’s governors have said they would prevent resettlement in their states. Breaking from the pack, former Florida Gov. Jeb Bush shifted his approach Tuesday and said the U.S. should not do away with its “noble tradition” of helping refugees.